KAMRAN SMITH HAS IT ALL. He's the star of the football team, dates the most popular girl, and can't wait to enlist in the army like his big brother, Darius. Although Kamran's mother is from Iran, Kamran has always felt 100% American. Accepted. Darius is accused of being a terrorist. Kamran refuses to believe it. But Darius has been filmed making threats against his country, hinting at an upcoming deadly attack. Suddenly, everyone in Kamran's life turns against him and his family. Kamran knows it's up to him to clear his brother's name. In a race against time, Kamran must piece together a series of clues and codes that will lead him to Darius -- and the truth. 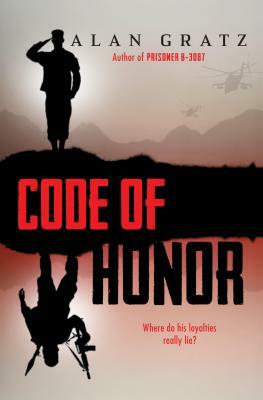 Acclaimed author Alan Gratz (Prisoner 8-3087) takes readers on a heart-pounding, nonstop adventure through underground intelligence bunkers and dangerous terrorist cells, weaving a gripping tale about the War on Terror -- and the bond between brothers.